This exclusive one-day workshop will focus on taking your innovation or product design team to the next level by helping you plan and execute purposeful experiments. Zach Pousman of Helpfully has partnered with Precoil's founder David Bland — who'll be visiting from Silicon Valley — to delve into advanced innovation topics. David (and Zach) will facilitate hands-on exercises and provide actionable advice that you can apply to your organization right away. We will give you our playbook to build experiences and products that people love. Our workshop gets to the heart of innovation. We'll deliver the tools you need to understand human motivations, our assumptions about other’s motivations, and how to get past assumptions into true understanding. Early bird tickets on sale until July 13th. Follow David's guidance to rapidly but thoroughly map the elements of the idea and how they come to together. Scenarios and story-telling are often a better starting point than a Business Model Canvas. Creating clearly defined assumptions shows us our blind spots and gives you a way to identify the biggest risks to achieve your goals. Practicing generating assumptions (about people, about their social lives, about the culture they live in) is a proven way to improve the conversations at your company or organization. The afternoon dives deep into designing multiple kinds of experiments, and how to modify them for desirability, viability, or feasibility questions. In addition, we'll help you frame experiments both early in the innovation process and later on once your team has high-fidelity artifacts. 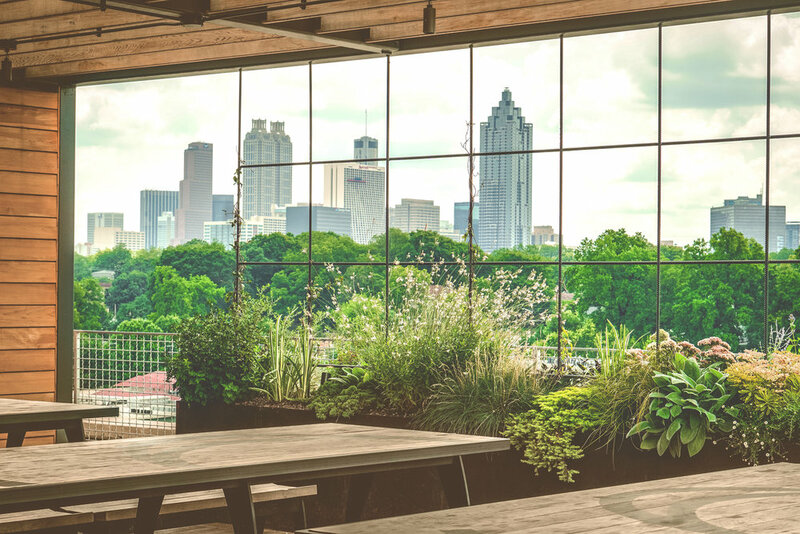 The workshop will be at RFD Social, a private club on the roof at Ponce City Market. We'll provide a delicious catered lunch, coffee and snack breaks. We'll have plenty of space for you to work alone and in small groups. We'll also give you time to get to know other innovators in Atlanta (and beyond). We'll end the day with an optional 'social hour' on the roof at PCM. Wind down with mini golf! David J. Bland is the Founder / CEO of Precoil, an innovation consulting agency in the San Francisco Bay Area. He's pioneered the adoption of Lean Startup in companies such as GE, Toyota, Adobe, HP, Colgate and Behr. David has led workshops and mentored at some of Silicon Valley's top startup accelerators. Prior to founding Precoil, David was a Principal at Neo Innovation and at BigVisible Solutions. David has spent much of his early career helping scale startups in risk averse industries. Helpfully is a digital R&D firm headquartered in Atlanta, GA. We assist ambitious companies to make new & amazing experiences — new apps, new SAAS products, new services, and new businesses. Helpfully is fluent in the future. They help you grasp and harness tomorrow — to solve problems today. They conduct research to understand people and their situated contexts, thoughts, and feelings. Then they design and develop testable concepts and prototypes. You can find out more about us at helpfully.com.